What are PFCs? 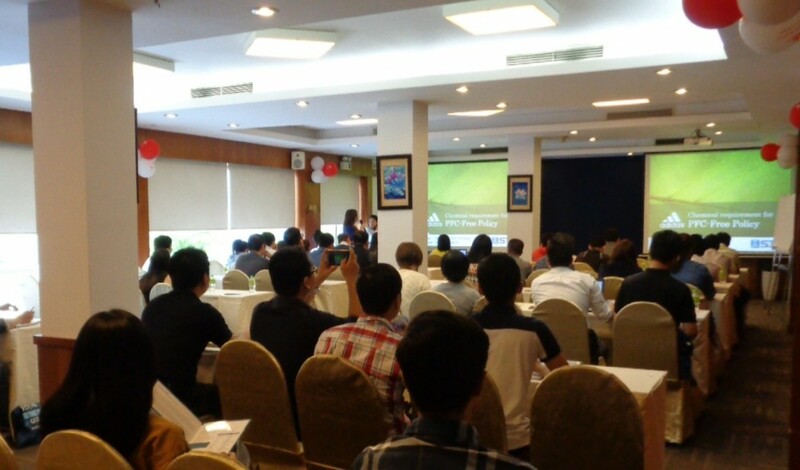 How STC (Vietnam) work together with Adidas Group to introduce Adidas’s new PFC-free policy to the supply chain in Vietnam? Per and Polyfluorinated Chemicals (PFCs) are widely used in products of everyday life such as textiles, clothing and food contact materials for their better water and stain resistance. However, PFCs are very difficult to be decomposed and may impose potential health threats to human. For help protecting the environment, Adidas Group has committed to phase out PFCs in 99% products sold, including Adidas Golf, Reebok, Five Ten, CCM, and licensees, by December 31, 2017. To meet this goal, suppliers of Adidas have to ensure their products’ compliance with the newly established requirement by conducting Fluorine test in qualified laboratories. 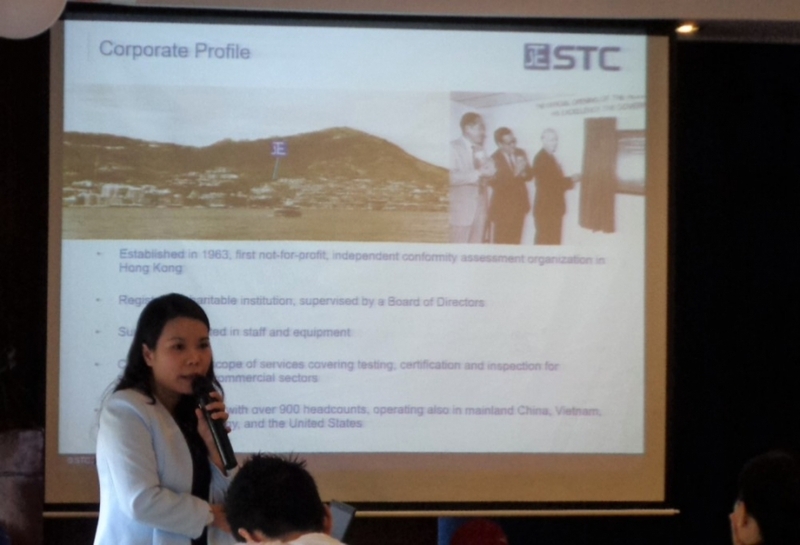 As an international not-for-profit organization specialized in testing, inspection and certification aiming to support global buyers and suppliers in quality management, STC(Vietnam) – a subsidiary of STC Group (Hong Kong Standards and Testing Centre), was in cooperation with Adidas Vietnam License office to host the seminar “Compliance Requirement: PFCs Policy” exclusive for Adidas suppliers on 10th March, 2017. 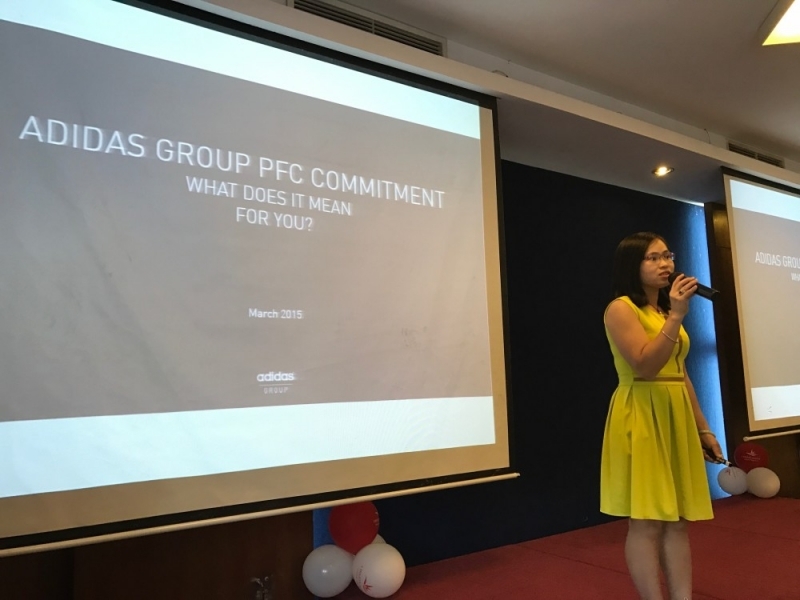 During the Q&A session, a lot of questions related to PFCs’ definition as well as other requirements following Adidas compliance policy were raised by T1 and T2 suppliers, showing us the great interest this topic has generated to our audience. 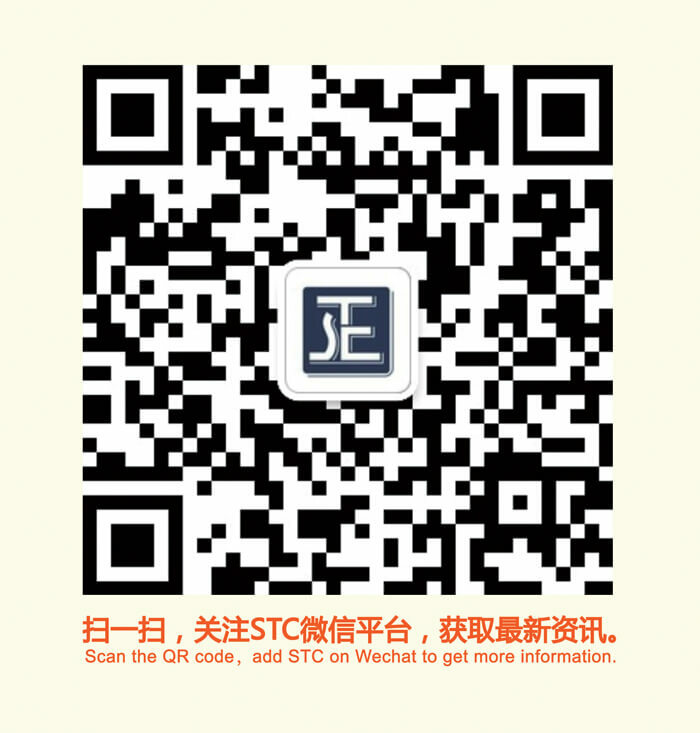 Should you have any enquiries, please contact Ms. Candy Chan (candychan@stc.group) in Hong Kong or Ms. Tuyen Pham (tuyenpham@stc.group) in Vietnam for further information.